The Supra Launch Edition is limited to the first 1500 production Supras built for the U.S. market, and is priced at $55,250. You can bet that there will be additional dealer markups added to that price if you are one of the few lucky ones to get an allocation. 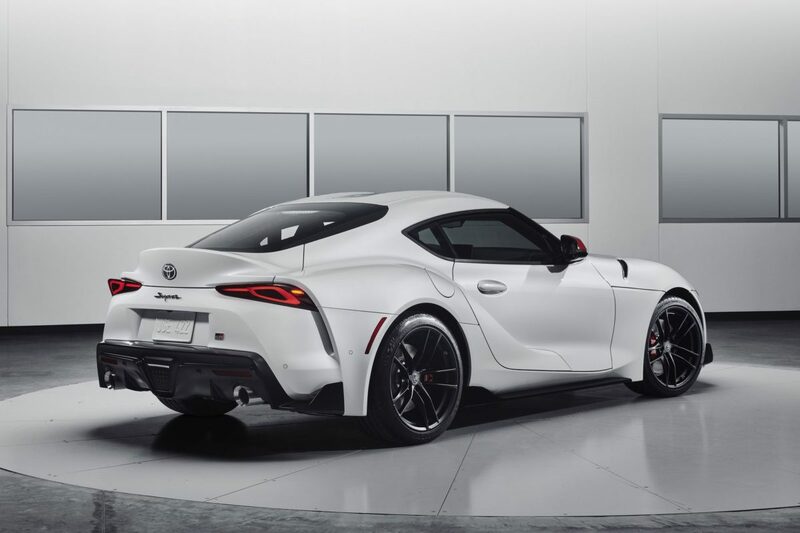 The 2020 Toyota Supra Launch Edition starts at $55,250 and willl be available in Absolute Zero White, Nocturnal Black, or Renaissance Red 2.0. All three colors get high-contrast red mirror caps, and 19-inch forged black alloy wheels. Absolute White Zero and Nocturnal Black models are equipped with red leather across the heated sport seats, steering wheel and center console, with carbon fiber highlights throughout . 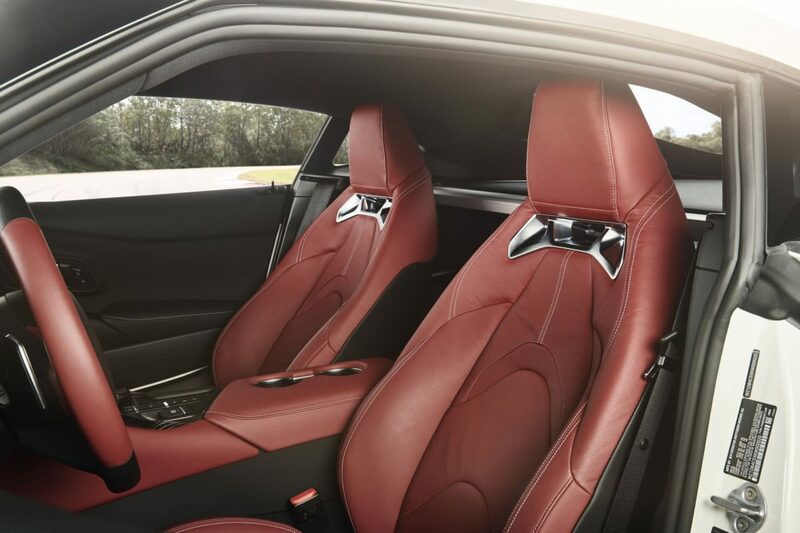 The Renaissance Red 2.0 Supra Launch Edition models get a black leather interior. The Supra Launch Edition will be a individually numbered with a carbon fiber badge on the passenger side of the dashboard. All 2020 Toyota Supra Launch Editions get the 3.0-liter turbocharged inline six-cylinder engine, which produces 335-horsepower and 365 lb-ft of torque. The engine is mated to an 8-speed automatic paddle shift transmission. 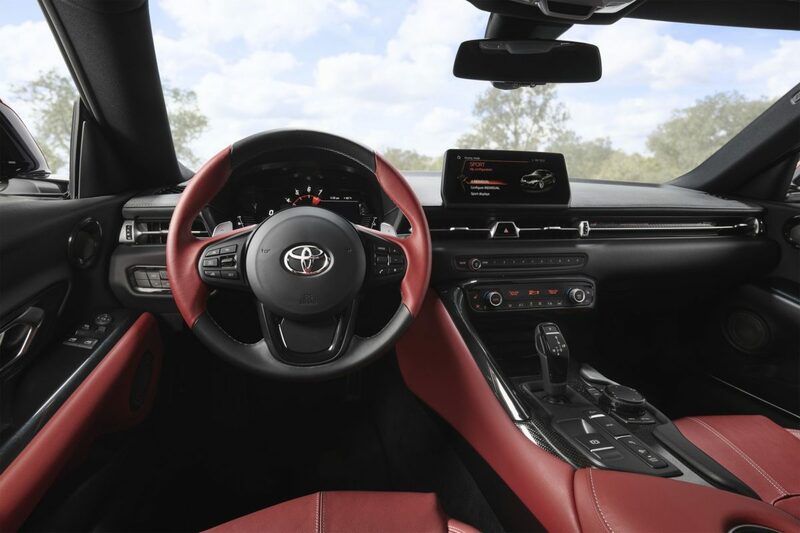 Standard features on the Toyota Supra Launch edition include an 8.8-inch display with navigation, Apple CarPlay, a 12-speaker JBL audio system, wireless charging, and a color heads-up display. 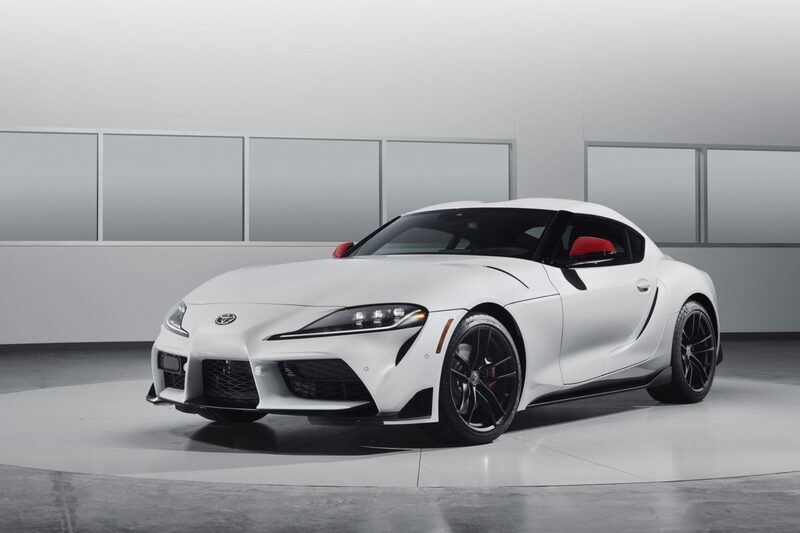 The first 2020 Toyota Supra Launch edition is headed to the Barrett-Jackson auction in Scottsdale Arizona on January 19. The Supra up for auction will wear a one-off Phantom Matte Gray exterior paint scheme.